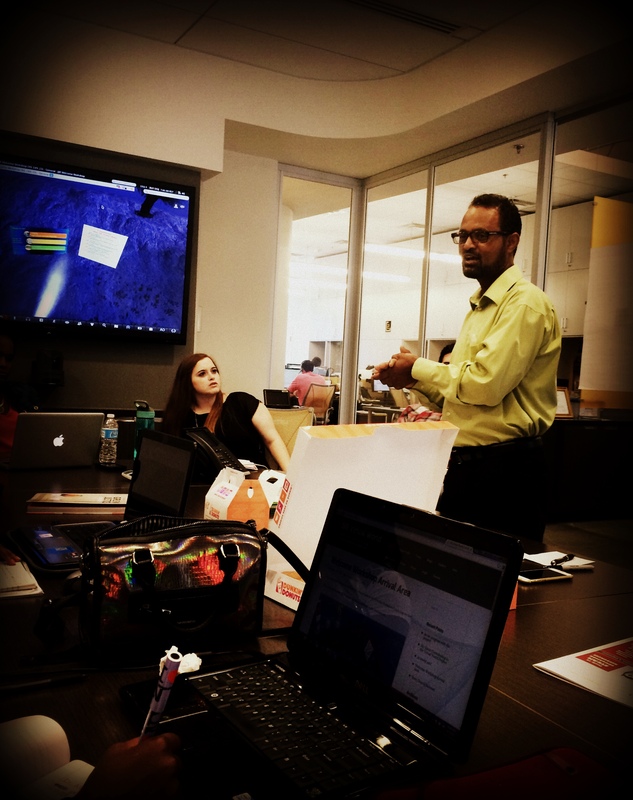 In addition to the exciting arrival of the case documents at our third meeting, we spent the last part of our meeting talking with Professor Soloman Negash, Executive Director of the Mobile Application Development (MAD) Center at Kennesaw State University. We discussed the app we would like to create for the Virtual World Journalism Project. Soloman looked to the team for our ideas about the app. First, we discussed our goals for the app. What did we want the app to ultimately do? To inform? To entertain? To bring attention to? All the above? We also talked about who we wanted our audience to be. Parents? Teens? Both? We definitely want an interactive app, especially if we plan on appealing to teenagers. However, we also want it to be informative for anyone who downloads the app. We want to bring awareness to what occurs in Georgia’s Juvenile Justice System and hopefully prevent more youth from entering the system. – “You Are the Judge” Game: Set in a court scene, if you were the judge, how would you judge these criminals? This app would be both interactive and informative, as you get to make the decision and you get to read about the different laws that you are expected to base the decision on. – Interactive Quiz: This would be very informative for both adults and teens, as the quiz would ask many questions based on the Juvenile Justice System. – Walk-Through of a Juvenile’s Story in the Virtual World Platform: Imagine walking through a crime as your avatar plays the parts of different characters; and then being at the trial and being able to make the decision that will ultimately determine where the youth end up: in the Juvenile Justice System or life in adult prison, or in a rehabilitation program, etc. The main goal for the app is through immersive interaction to inform teens that they are responsible for their own actions and can ultimately determine their own fate: including avoiding being put into the juvenile justice system. By the end of our discussion, we had not made a final decision, but we plan to further discuss the different options in greater depth. We are looking forward to working with Soloman to create an app that will directly address aspects of our goal: Bringing awareness to what happens in the Juvenile Justice System and in a youth’s life before and after committing a crime.